Directly after planting the Paulownia should be watered. Approximately 2l water per plant are sufficient to achieve good soil contact with the roots and keep the planting shock to a minimum. While having a good supply of potassium, Paulownia is very economical with water. Its profound taproot should be able to gather water even more from several meters of depth. Seedlings that have not fully developed their root systems in the first year of planting, have an increased risk of drought stress. Therefore, an adequate water supply is especially important for fresh plantings in hot and dry summers. With more than 800 mm of annual rainfall, the water supply is usually sufficient to achieve rest mass growth of Paulownia. Below this value the trees should be provided with an irrigation system. Here, the drip irrigation has proven itself particular in. 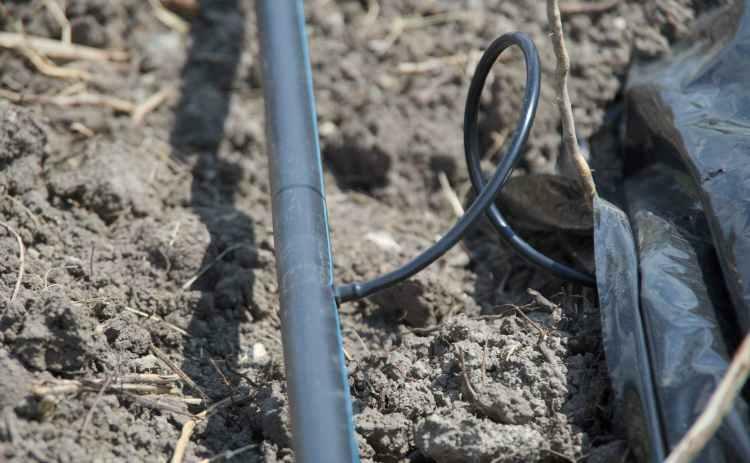 Depending on the need for irrigation about 10-15 liters per plant are necessary once or twice a week. A durable, low water intake causes the moisture to remain only in the upper soil layers. Thereby, the tree is animated to form its roots precisely in this layer to absorb the provided water. Such malformation of the root affects the stability of the tree and leads to permanent dependence on the irrigation. Intermittent irrigation at longer intervals causes that the larger amount of water seeps deeper into the ground, causing the natural instinct of the root to maintain the grow into the depth.